Fanny Cradock, Delia Smith and Ken Hom will return to the iPlayer menu this Easter, as the BBC opens up its cookery archive. 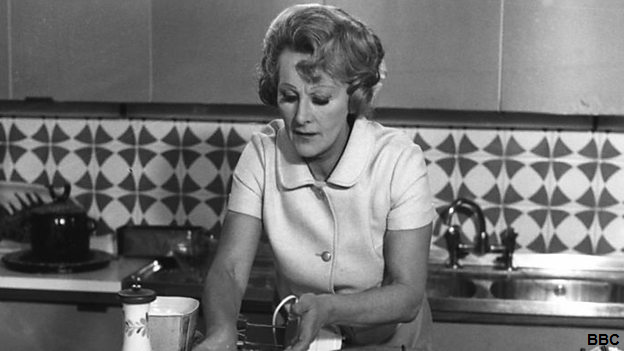 Fifty popular BBC cookery shows, starring some of nation’s most loved cooks including Fanny Cradock and Delia Smith, will be available in the "From The Archive" category on BBC iPlayer from Saturday 31st March 2018. With programmes spanning from 1970 to 2012, viewers can watch how eating and cooking habits, technology and presentation styles have developed as Britain embraced flavours from across the world. The earliest programme in the collection, Fanny Cradock Invites You To… A Cheese And Wine Party, was first broadcast in 1970. It sees the legendary TV cook prepare a sumptuous spread for a sophisticated soiree. With her over-the-top glamour, Fanny enticed the British public to create extravagant meals on a budget. Other highlights from the collection include the no-nonsense cookery series where Delia Smith made her name, Delia Smith’s Cookery Course; the 1980s programme that first taught viewers how to use a wok - Ken Hom’s Chinese Cookery; and the classic Caribbean cookery show, Caribbean Food Made Easy, with Levi Roots.